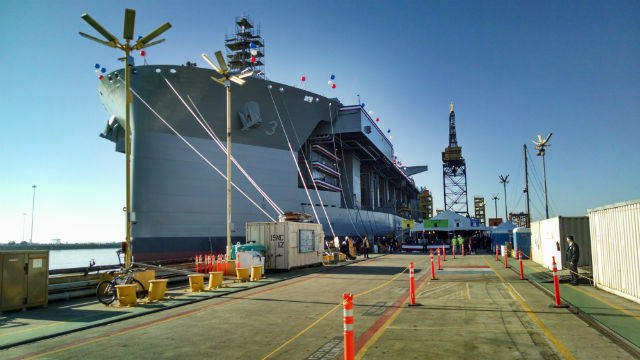 The mobile landing platform USNS Lewis B. Puller was christened in a ceremony Saturday morning, with the daughter of its namesake breaking a bottle of champagne against the hull. 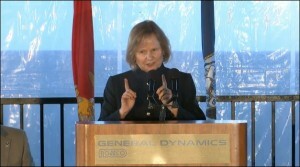 Martha Puller Downs, the daughter of the highly decorated Marine for whom the ship is named, performed the traditional ceremony before a crowd of 800 employees, military personnel and civic leaders at the General Dynamics NASSCO shipyard in Barrio Logan. The 785- foot-long vessel is designed to serve as an offshore staging area for a variety of operations, including maritime security, counter piracy, disaster relief and humanitarian aid. 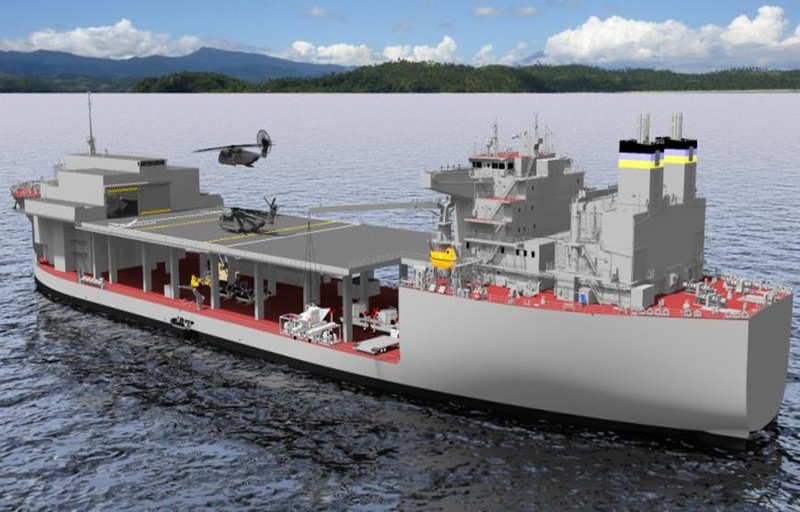 It’s the third ship of the class, and the first to be configured as an “afloat forward staging base.” The variant includes a flight deck, fuel and equipment storage, berthing for 250 troops and repair spaces. 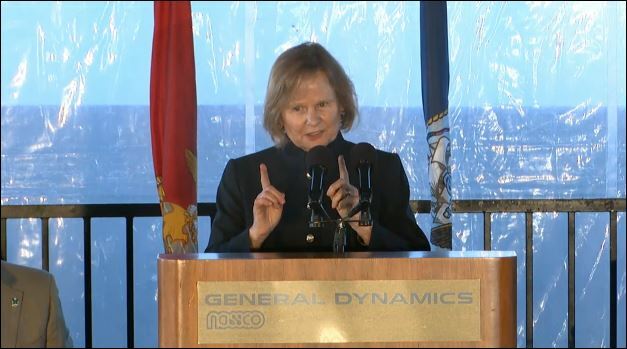 Graney said Puller was a “force multiplier” on the battlefield, legendary for rallying Marines and winning victories, and NASSCO expects the ship to be worthy of the name. “These ships are capable, inherently flexible and perhaps most importantly, in an age of constrained budgets, affordable…in every sense, a force multiplier,” Graney said. The ship is scheduled to be delivered in June and to deploy for the first time next year.